Please join us to celebrate HumanLight with the Baltimore Coalition of Reason on Tuesday, December 23. HumanLight is a celebration of the winter season conceived by the New Jersey Humanist Network as a humanist or secular alternative to traditional religious celebrations. HumanLight features music and the lighting of three candles celebrating Reason, Compassion, and Hope. HumanLight was first celebrated in 2001 in New Jersey and has since spread throughout the country. 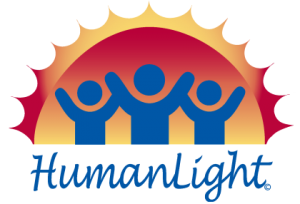 This year is the fifth celebration of HumanLight by the Baltimore Coalition of Reason. To learn more, visit the HumanLight website at HumanLight.org. This year we are celebrating HumanLight at BES. We will have a potluck dinner and desserts, music, and the candle lighting. This is a family-friendly event, and children are welcome. Please tell us you’re coming (RSVP) and tell us what food you’d like to bring. Sign up for the potluck dinner. If you can’t access the Google Doc, then email BmoreCoR@gmail.com or call 443-267-8585 . At what time is it? 7:00-10:00 p.m.